When I learned that there was an OPI Grease Collection coming out I HAD to have it, however, with the pricing and some issues with school I’m having I couldn’t really afford it. Then I came across the OPI Grease Mini Nail Polish Set and I thought it would be the perfect solution. I could get four polishes from the collection, in mini sizes, and not break the bank. Was this the perfect solution or should I have just skipped the collection? 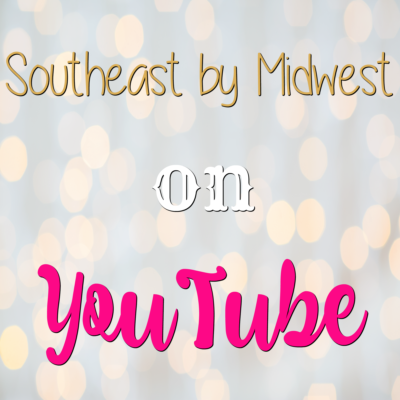 Check out the video below or just keep scrolling to find out! Did you know that this year is the 40th Anniversary for the release of the musical Grease? I didn’t realize that it had been that long! In celebration of the 40 years OPI released the OPI x Grease Collection that contains 12 nail polishes, 12 Infinite Shine polishes (same shades just in the Infinite Shine formula), and 3 polishes in the new leather effect which gives the look and texture of leather. The shades are supposed to retro summery shades with names and colors that are inspired by Grease. The three leather polishes are Rydell Forever, Electryfyin’ Pink, and Grease is the Word. While the other twelve shades are Hopelessly Devoted to OPI, Pink Ladies Rule the School, You’re the Shade That I Want, Tell Me About it Stud, Summer Lovin’ Having a Blast!, Meet a Boy Cute As Can Be, Teal Me More Teal Me More, Was It All Just a Dream?, Chills Are Multiplying!, Frenchie Likes to Kiss?, Danny & Sandy 4 Ever!, and Don’t Cry Over Spilled Milkshakes. The OPI x Grease Collection can be purchased at Ulta, Sally Beauty, and JC Penny for around $10.50 each for 0.5 oz. 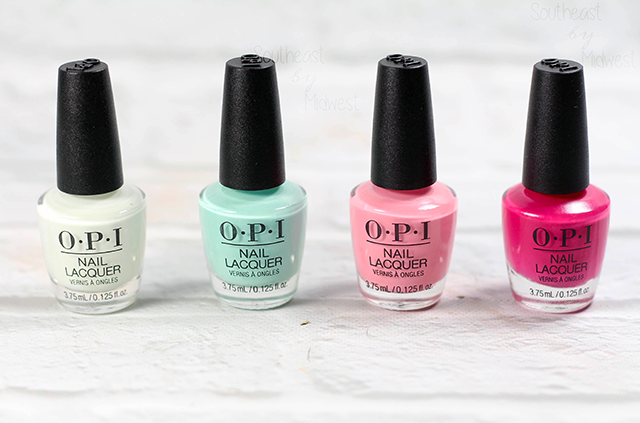 The OPI Grease Mini Nail Polish Set contains four mini bottles from the OPI Grease Collection in 0.125 oz. bottles. The four shades that the set includes are Don’t Cry Over Spilled Milkshakes, Was it All Just a Dream?, Pink Ladies Rule the School, and You’re the Shade That I Want. 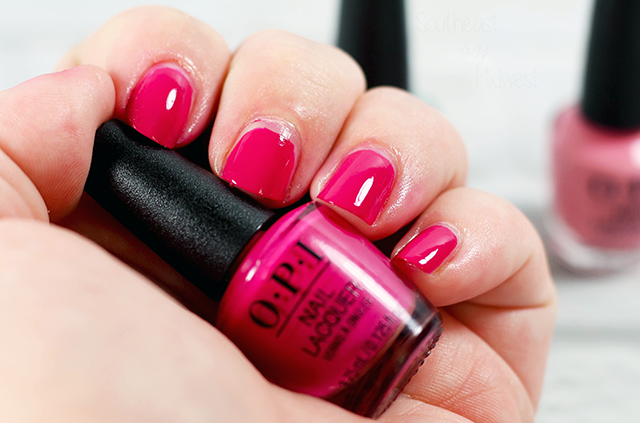 The OPI Grease Mini Nail Polish Set can be purchased at Nordstrom Rack for $9.97 or Amazon for $19.95. The box for the Mini Set has different images from the movie on the front with the shade names and the back contains cute little descriptions about the different shades. As for the bottles themselves, they are miniature versions of the larger OPI bottles which you can see below (by the way, the bigger bottle is from the OPI New Orleans collection which is still available so if you would like to see a review and swatches of that collection just let me know!) all the way up to the lid. Don’t Cry Over Spilled Milkshakes is a white polish in a cream formula. I found this polish to be streaky and not opaque in even two coats. To go along with that it’s not an actual white so much as an off white. Was It All Just A Dream? is a turquoise polish is a cream formula. Was It All Just a Dream? was almost opaque in one coat and I feel that two coats just kind of evened it out. If I had to describe this polish I’d say that it’s an almost Tiffany blue shade but not quite. Pink Ladies Rule the School is a baby pink polish in a cream formula. Pink Ladies Rule the School was a bit streaky but two coats evened that out. However, it dried super tacky and stuck to anything and everything until I put a top coat over it. You’re the Shade that I Want is a magenta polish in a cream formula. You’re the Shade that I Want was opaque in one coat and in all honesty I only used second coat because that’s just what I do. You’re the Shade that I Want does stain a tad when cleaning up but it isn’t as bad as some polishes can be. As I mentioned above, this collection was supposed to be retro summer shades and in all honesty I don’t think the full collection offers that. I think that some shades are good for Spring, some for Summer, and others for Fall/Winter. Not that that’s a bad thing, I just want to point it out. The formula for the mini polishes was similar to that of the bigger polishes, except for Pink Ladies Rule the School which dried tackier than any polish I ever used, and I think that streakiness was due more to the tiniest nail polish known to man. I do think that the OPI Grease Mini Nail Polish Set is a good showing of what the collection offers. If I had a complaint about the polishes chosen it would be that I wish they had gone for the orange or the darkest shade in the collection instead of having the two pink type shades together. While I feel that this set was a good showing of the OPI Grease collection overall, I can’t in actuality recommend purchasing it. 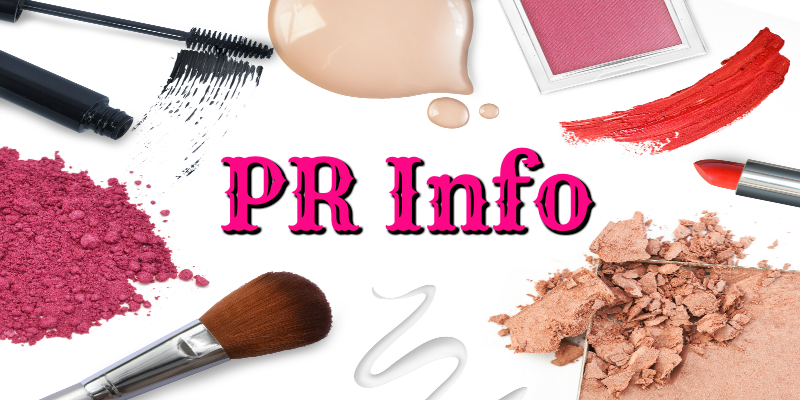 The bottles do have enough in them for several manicures, however, the light pink shade dries super tacky and the white shade is streaky as all get out. 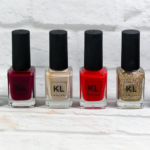 I recommend instead, looking at the full collection and choosing a few of the polishes you might like and purchasing the full-size versions of them. That is such a cute set of minis! I love the pink and magenta shades! 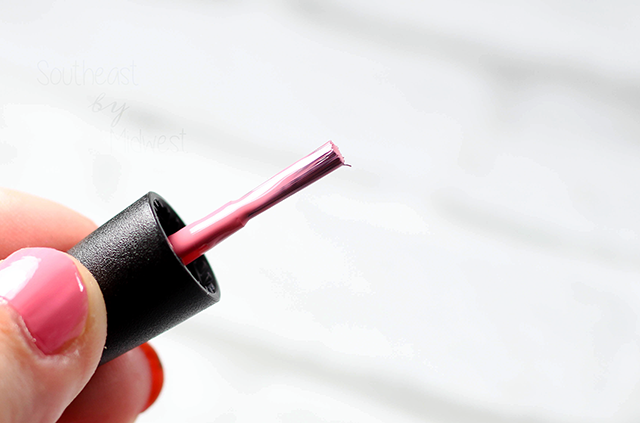 The magenta shade is absolutely gorgeous! 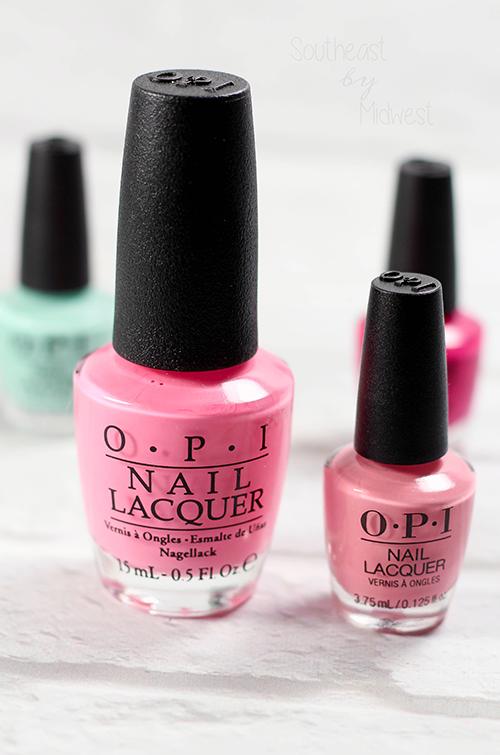 I’ve noticed the mix of Spring-Summer-Winter polishes in previous OPI collections as well! Bummer that the white turned out streaky. That’s all the more noticeable in a white polish. It really is more noticeable in white polishes but I guess they figure most people don’t just wear plain white and instead put nail art over it or use it French Manicures. This is a nice Grease memorabilia, in a way! I didn’t realize it’s 40 years now, wow! It was quite shocking to realize! I bought the mini set of China Glaze OMG Holos since I wanted so many of the shades and I don’t wear polish more than 2 or 3 times each. I’m glad I did it that way. I never think to look at Nordstrom Rack for beauty. You found a good deal but it doesn’t sound satisfying. I like to do the minis as well unless there’s a specific shade in a collection that I MUST have. I love when polishes are opaque in one coat and was glad this one was! Shoot, too bad the quality isn’t that great in the mini set. I like mini because I have so many polishes I don’t need full sizes. Maybe I’ll just buy the Tiffany Blue full size. I agree, these minis aren’t the best looking. I do love the movie Grease and am happy they did this collection though. I am as well and some of the full-sizes look better swatched than these do. This is one of those products, that if you’re a fan of the movie, you’re going to buy the merchandise. 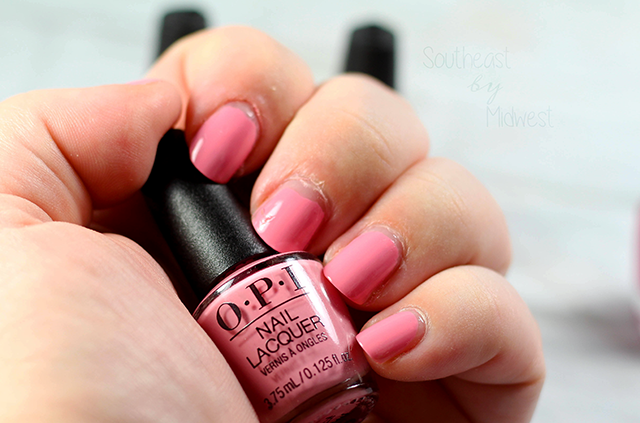 It definitely helps that the brand is OPI, because let’s face it, OPI as an individual product speaks for itself. I’m going to have to look for this in stores. Thanks for sharing! Wow! Another great product from O.P. Loved their collection it looks amazing and tempting. Thank you for sharing this to us. 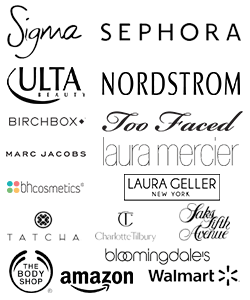 You’re very welcome and yes OPI does amazing products and collections. Too bad you weren’t happy with the polishes in this set. I like to get minis, because I never finish a full bottle of nail lacquer! Same! I don’t think I’ve ever finished one because I have so many and I just don’t like to wear the same colors all the time. However, I want the formula to still be decent in the minis and this isn’t the only time this has been an issue with minis, I had an issue with a set of Essie minis. I love OPI as it is a very reputable brand. Used it myself and love it. Glad there is a mini nail polish set as I prefer mini set compared to the full size version. I got bored of the colors very soon so mini size is always great and it wont get dried up. I agree with you. Switching so much is why I like minis especially on limited edition shades like this where I won’t be able to wear them as often in YouTube videos once it’s off sale. Now, another great product to recommend. Loved the collection and the stunning shiny gloss it brings. This is amazingly beautiful. The colors are lovely, but too bad they didn’t work to your liking. It would have been a nice collector’s item otherwise. I agree with you. The colors were amazing just a bit streaky. I’ll still wear them though since I have them but I wouldn’t recommend others to buy from the collection this way. Wonderful OPI set! 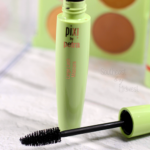 The shades are unifersal both everyday calm and bright vivid colors for going out. Practically you can have this set only and be happy doing you nails. I agree, plus they would be great to use for nail art looks together. Looks like a great set, I love the green colour the most! Makes me want to stop biting my nails! That pink color is everything! I need to pick up this set stat. It’s a gorgeous color on the nails! This looks liek a great line of nail polish.I love their colours and would love to try them. This is such a fun idea from OPI. 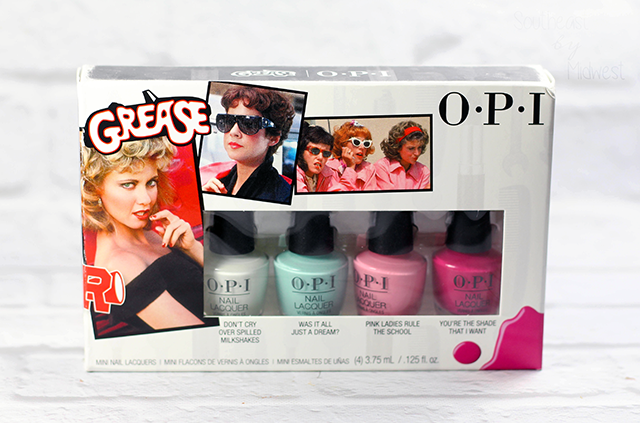 Grease is a firm favourite film and it’s brilliant they have bought out polishes to tribute that. Fab colours! I’m hoping that they do collections with more movies and celebrities! I really like mini bottles because then you can try the colors out and not worry about the paint getting too “old” before you finish up the bottle!